In this video, Attorney Robert Maranto explains how you should deal with the insurance adjuster after an auto accident. Contact one of our experienced injury attorneys in Buffalo NY if you were injured. 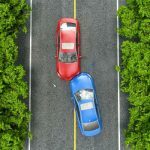 I encourage clients to have absolutely no communication with any insurance company after an automobile accident — even the insurance company of the vehicle they were in at the time of the accident — if the accident were two-vehicle or multi-vehicle. Insurance adjusters are trained to obtain information from subscribers. 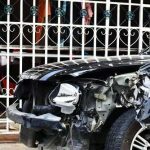 In an automobile accident, one’s insurance company is supposed to pay the medical bills, wage loss, and incidental expenses, and companies want to avoid this. In the contracts that subscribers have with their insurance companies, the companies are entitled to hire independent medical examiners who screen subscribers following an auto accident, analyze medical records, and make a determination as to whether or not the subscribers are entitled to get any further treatment. These insurance companies are probably not hiring doctors who would side with the subscribers over the companies in instances like these. The reason why I tell my clients not to talk to insurance adjusters at all is because my clients can be recorded; insurance representatives are going to take notes on all conversations with subscribers after an auto accident. Even though the representatives may sound pleasant and accommodating on the phone, and even though they may claim to have the best interests of subscribers in mind, they do not. They work for insurance carriers, and those insurance carriers have a duty to their shareholders. The way that insurance companies make more money is by paying less on claims, and if representatives can obtain information from subscribers that can potentially weaken claims, they will do so — even though they may smile and use honeyed words. There is no benefit to contacting or talking with the insurance adjusters. My office takes care of first consultations for all of our clients.